Have you been looking for a way to impact the culture in America for Christ and reverse the godless elements in media, education and government? 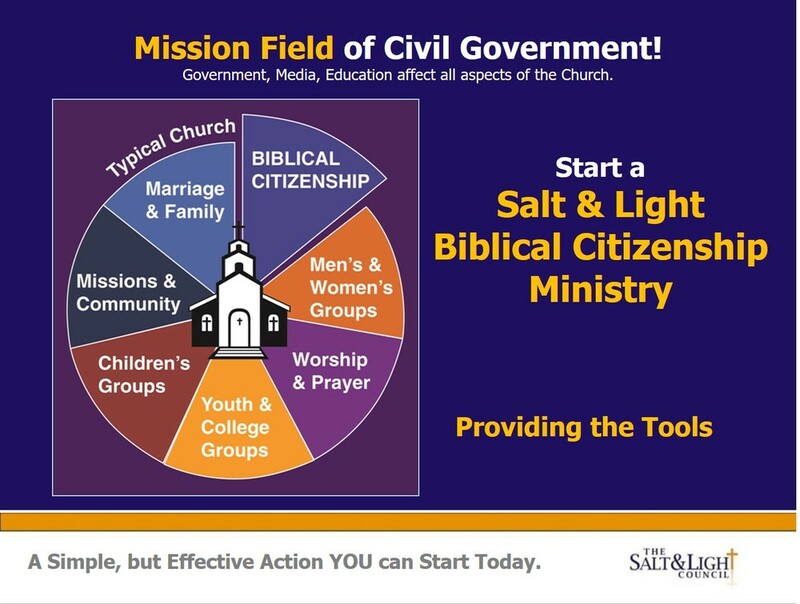 Consider becoming the Affiliate Leader of a Salt & Light Biblical Citizenship Ministry in your church. We provide the tools, training, resources and continued support. 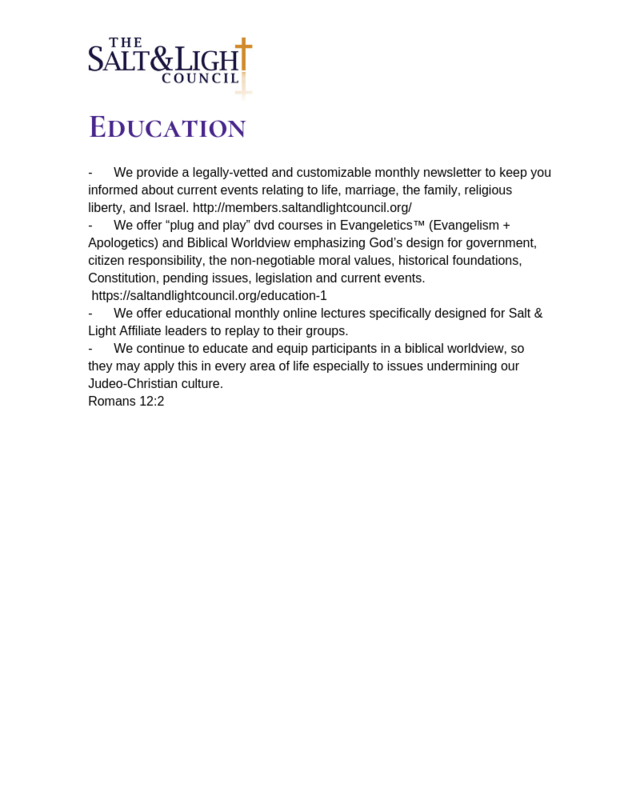 With the permission of your pastor or group leader, you can get started today by taking our excellent training. We hope to hear from you soon! It is concerned citizens praying, getting educated and taking action both inside and outside the four walls of the church! We are rediscovering the joy and privilege of being a citizen of the United States - under God - and preserving, as salt does, our Judeo-Christian Heritage. We provide practical solutions for engaging Christians in the core mission field of government. We approach training through the acronym PETER which you can implement in your church. Once a month a simple message like this can inspire your whole church. 3 hour training and you will be up and running! Help us get these planted around the country!